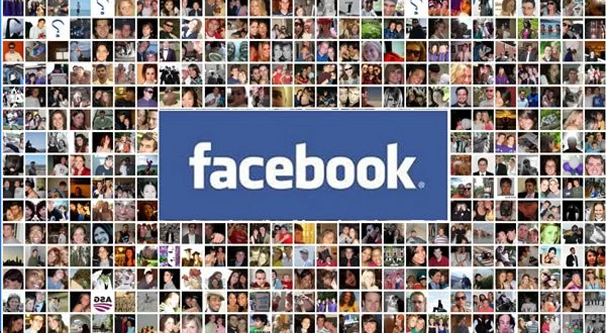 Blog > Facebook > Is There a Limit to How Many Facebook Friends You Can Have? Facebook has always been a platform focused around personal relationships. The site started as a way for friends to network with one another in college, after all. When it ballooned out of control and morphed into the juggernaut of social media it is today, it nevertheless decided to emphasize certain kinds of relationships in certain ways. Once it became clear that Facebook would need a lot more to it than just individual personal pages, the site started to implement a wide variety of other features. Among them, crucial to the discussion in this post, are brand pages and limitations. In the very early days of Facebook, they didn’t really have limitations. Once the site started to pick up some popularity, they added in a limit of 1,000 friends for any individual personal account. It’s fairly unlikely for any one person to have 1,000 real friends, after all. Science indicates that humans are only really capable of maintaining around 150 friendships at any one time, with only 50 or so close friends. Eventually, Facebook decided that 1,000 was a little too restrictive, and bumped up their limit to 5,000, where it has historically sat. 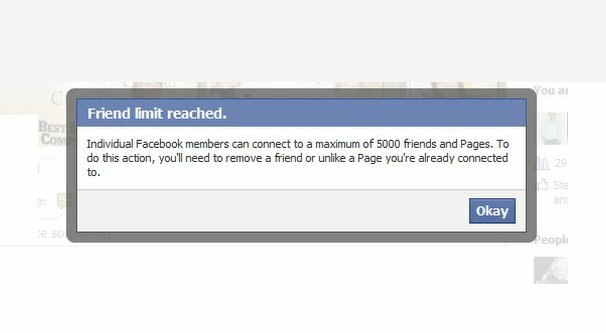 Does Facebook still maintain a limit of 5,000 friends per profile? To be quick and to the point: yes. It seems like every few years we see a news story about Facebook planning to lift the 5,000 friend limit. Here’s one from a decade ago. The fact is, Facebook could remove that restriction at any time, but they choose not to. In the early days, it was a technical limitation. The more friends and connections an individual person has, the more complex the algorithm would be that has to sort through it all. It’s a matter of scaling. These days, Facebook has so much processing power at its disposal that they could do away with the restriction entirely and would be perfectly fine. The thing is, you wouldn’t be able to engage with that many friends. In fact, even today you aren’t able to engage with every friend you have. Think about your own Facebook profile. How many friends do you have? Most people I know have somewhere between 100 and 500 friends, depending on how actively they use the platform. Now, how many posts from different people do you see in a day? How many of those friends do you have that you never see content from? If Facebook didn’t filter your news feed at all, chances are you would see somewhere around 1,500 posts per day on average. This is for users with an average, low number of friends. Those who choose to push the envelope and reach that 5,000 friends limit are going to see many, many more. 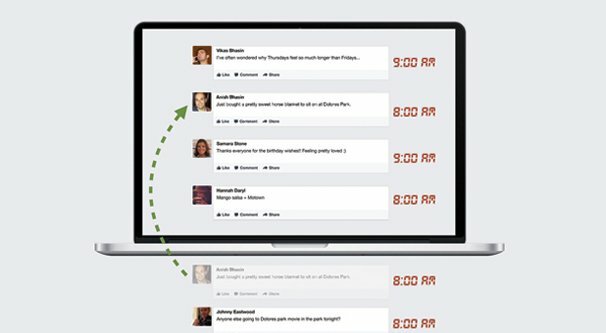 Facebook’s filtering cuts that number down to somewhere around 150 or so posts per day, or even fewer, depending on your own friend engagement. Facebook isn’t going to be relaxing the algorithm when you get more and more friends. What actually happens is you just have more and more friends who you never see, even if they’re completely active. EdgeRank is something that typically comes up when discussing brand page reach, but it applies in basically the same way to personal relationships. EdgeRank is the name given to the Facebook algorithm, though it’s technically the name of an older, retired algorithm. The name carries forward simply because the new algorithm has no catchy name of its own. What EdgeRank is, is the algorithm determining who sees your posts. For a brand page, it calculates an individual relationship between your page and each individual follower. For individuals, it calculates your past engagement and interactions with the user. In a relationship between friends, Facebook prioritizes friends you interact with frequently. If you rarely interact with a friend, you’ll see less and less of their content, until eventually you see none at all. This process can take months or years of neglect, or it can happen rapidly if you’re very engaged with a bunch of other friends. Each new person who appears in your feed is likely pushing aside someone else you rarely talk to. Now, engaging with a friend means more than actively talking to them. When you comment on their content, or they comment on yours, that boosts the engagement. More so, however, it counts other forms of interaction. If you click through to view their profile, it gives them a boost. If you click through a link they posted, like a post they made, or some other element of soft engagement, it also boosts your relationship with that user. It’s also worth noting that this is not symmetrical. When you like and comment on someone’s posts, you see more of their content, but they don’t necessarily see more of yours. They have to engage with you in return to see more of your posts as well. 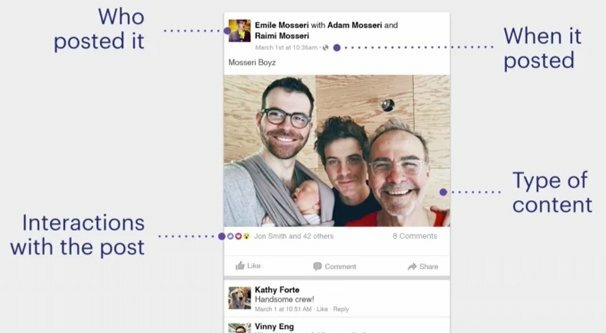 There’s also a wrap-around that Facebook uses to help rekindle friendships. You will occasionally see a post from someone you never saw much from before. Facebook stirs the pot to let a few people float to the top, as an ongoing test to see if you want to keep those friendships alive. If you continue to not engage with that person, you’re just as likely to continue not seeing their content. Facebook has a few associated limitations for friends on the platform. Once you reach 5,000 friends, you cannot add any more, and Facebook will cajole you into trying to make a brand page. They believe no one can maintain that many personal relationships, so everyone who has that many friends is probably trying to run a brand from their personal account, and should use the right tool. Usually they’re correct, but not always. Some people are simply gregarious and outgoing. There is a friend request limit as well. You can send out friend requests as frequently as you like, but you can only have up to 1,000 pending requests. 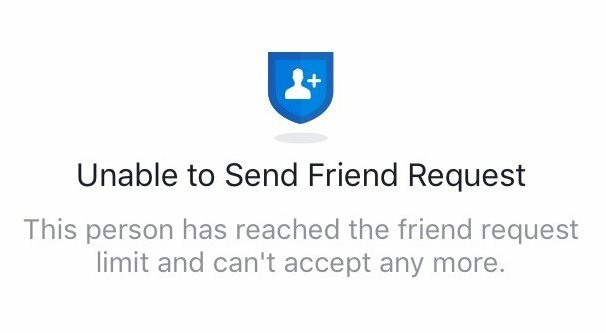 Once you reach that number, you will no longer be able to send friend requests until some of the ones you have sent are accepted, declined, or deleted by you. There are also a handful of reasons why you might not be able to send a friend request aside from hitting the pending limit. If the user deleted a friend request from you, you will not be able to make another. This restriction lasts for one year, after which you can try again. This is to prevent spamming repeated requests. If you have blocked the user, or the user has blocked you, you cannot send them a friend request. Simple enough. One potential privacy setting a user can set restricts requests to friends of friends. If you are not a friend of any of their friends, you will not be able to send them a request. It’s also possible to be blocked from sending friend requests. This typically happens if you have spammed out hundreds of friend requests where many of them have gone unanswered, or you have sent out several requests that have been marked as unwelcome. It’s a temporary block on your account, meant to stem the tide of spammers. If you’ve hit the 5,000 friend limit, you have to decide what you want to do about it. You have a few options. The first option is to simply do nothing. You’ve accumulated your 5,000 friends for this lifetime, and that’s it. Unless other people decide to un-friend you, you’re just stuck the way you are. This, obviously, is not a good option. You close yourself off to new potential networking opportunities or friendships. Your second option may or may not be real. I’ve read in a few places, like this post, that your liked pages count against your friend total. If this is true, you can go through your liked brand pages and remove any you no longer feel like following, to open up more space for friends. Now, I’m not sure if this was the case years ago, or if it’s still the case. I somewhat doubt it, but if you’re at the 5,000 limit, you can try removing a page or three, then sending another request. In fact, if you’re in a position to test this for me, please do and let me know. I’m truly interested to know if this is the case. Your third option is to audit your friends. When you have 5,000 friends on Facebook, my guess is that 4,500 of them are people you pretty much don’t know at all and whose relationships you don’t value. Maybe you were building up a personal brand and they’re more followers than friends. Who knows! There are a ton of different ways you can audit your friends. You can just go to your friends list and click through them, removing any you decide you don’t care about. You can find people you friended solely to monitor their posts and unfriend them, clicking the “follow” button instead, if they have it enabled. You can even take it one day at a time and just watch for birthdays. Anyone having a birthday today that you don’t know or care about? Unfriend them! How’s that for a birthday gift, Linda? 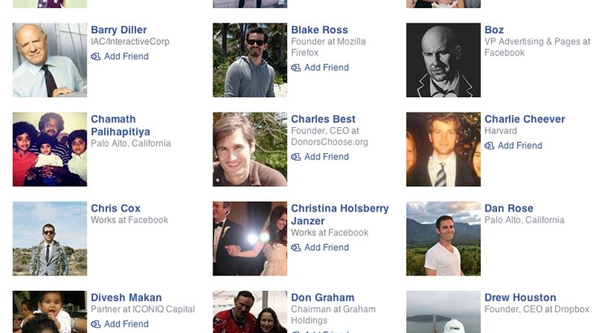 Facebook’s ideal solution is to convert your personal profile into a brand page. In fact, if Facebook has been known to forcibly convert profiles into pages if their activity looks too much like branded activity, even though they often get it wrong. When you convert a profile into a page, you’re actually copying your profile as a page. You still have your profile afterwards. All of your friends will be followers of your new page. 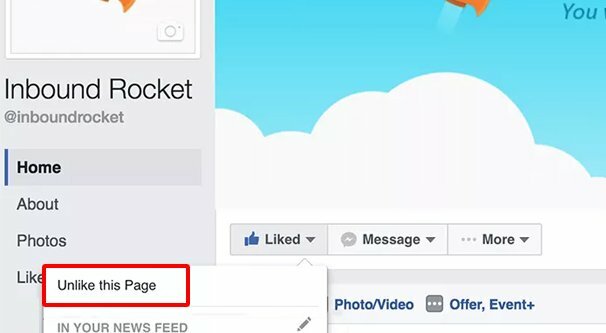 You can then purge friends from your personal profile to open up more room, while building them up as an audience for your page. The page you create will have your name, profile picture, and cover photo by default. You will be able to choose which, if any, photos or videos you want to copy over. One side note is that if your personal profile is Verified, you will lose the verification mark when you split into a page. You will have to re-apply for verification on both your profile and your page to get them verified. This probably isn’t a huge deal to most of you, but some might be concerned about it. 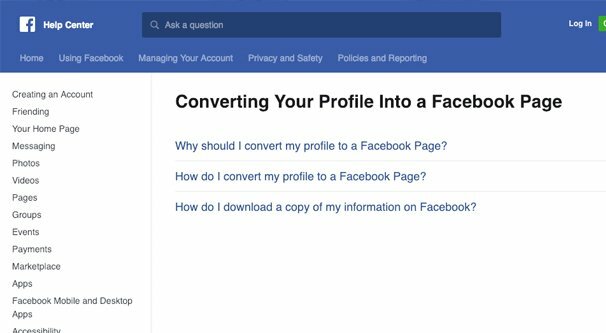 You can read more about how Facebook handles converting a profile into a page in their help center here. Be sure to check this link just in case their information has changed since the last time I updated this post. Honestly, personally, I don’t feel that there’s any valid reason to reach 5,000 friends on a personal profile. You should likely create and start growing a personal brand page long before you reach that point. Heck, many brands struggle to find 5,000 followers; if you have that many friends, you’re already ahead of the game.